Crock-Pot 4-Quart Manual Slow Cooker Only $15.92 + FREE Super Saver Shipping! 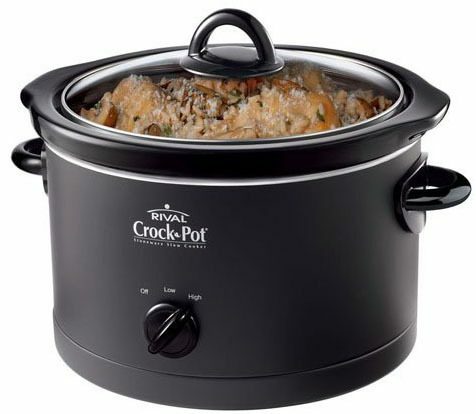 You are here: Home / Great Deals / Amazon Deals / Crock-Pot 4-Quart Manual Slow Cooker Only $15.92 + FREE Super Saver Shipping! Who needs a new Crock-Pot? Right now, you can get the Crock-Pot 4-Quart Manual Slow Cooker for just $15.92 (reg. $40)! And, you’ll get FREE shipping with Super Saver Shipping! I have this Crock-Pot and LOVE it! We use it ALL the time, especially now that the weather is cold. And, I paid a lot more than this for mine!